What's your favorite and why? I'm running Akila Aipas in my Gary McNeill RTT and they Rip. Love the height- 5.4" - like the flat foil and tips for release - base is decent - 4.8" and overall 19.10" too. This board has a Way higher top end than I think it's rated for and I'm going to push it there. Just don't want to exceed the Aipa's grasp and be left bummed. While the RTT is a wide tail modern performance fish, that Torus Channel through the center does provide great hold/Drive/stability and I'm looking for something that I can run when it gets Good. I want to stay with upright MR style fins - much like the Aipa's but bigger all around- and Performance- Still flat foil and good release. Looking for long fast Carves not snaps. I have a set of Rasta Sea Shepherds but don't see/Feel this board getting anything other than hold and down the line drive. So hit me with every and any opinion/review advice/help you've got. Super appreciated in advance, and hope this finds everyone well surfed. Last edited by kpd73; 10/01/16 03:14 PM. I have some of these but haven't really ridden them. Might be a nice compromise between pure twins and the Rastas. My rtt is ready to roll, and I'm eager to unleash it. I've got some Sea Shepherds as I (naively?) thought that's what Rasta rips it with. Am I wrong? The vids I've seen of him tearing up Lennox Head have been on an rtt, so I thought the Sea Shepherds were the fins he designed to work best for the board. Anyway, I'm gonna get some Akila Aipas after your feedback. Goodfish- He very well could be on the Sea Shepherds but the feel of this board at Speed when it's good I want an upright performance twin. I'm thinking he runs an upright as well. Clamsmasha- I've been looking at those a while- almost perfect just not stoked on the 80/20 foil. Sick fins though. Anyone East Coast make custom Futures fins? Huie does. Ghostshaper has some from him, maybe PM Huie. I was close to pulling the trigger on these. They're Big - in a rad way - throw em in that RTT and huck up a report when you get can. Man why don't they make MR's in Futures? I use the AM Twin set on Mr.Buzz with small quad set trailers. "I'm way too baked to drive to the Devil's house." Just an FYI (don't mean to derail the actual convo/focus of this thread): Push Fins makes all their fin templates in both OG FCS and Futures. This includes an MR template twin fin (no trailer though, last I checked). They are a little bit higher priced than RTM twin fin sets tend to go, but the guy hand foiling skateboard deck cutoffs. Check them out if you're after Futures MR fins. Use the T1 and trailer. No derail at all. Those fins are smokeshows! Wow. I'd kick up a bit extra for those in a minute for MR's in Futures. Damn...every twin on that List is sick. I got a few friends who will be pretty buck wild about these. The erbb is the ( . ) ( . ) 's! I find the t1 way too small to be a pure twin. The Encinitas ww posted look fuckingsick. Only a bit smaller than the Salties. Scarfini twin looks good too, tried to get some but aborted the mission and got the salties after a bit of miscommunication. Some great suggestions here! I'm stuck with what to go with! I've got some Sea Shepherds already, so which fins would best compliment my fin quiver? paging Jam71 - he's run a few of these combos in his. Been there and done them all. If you're lighter then the Aipas are fine. I was 200lbs (or so) and much preferred the sea shepherds in the rtt. The Aipas didn't have enough fin area for me. Prefer the AMT's since they have a long base for drive but a narrower tip for release. For a twin with longer base but a fuller tip closer to the MR template then the Scarfini twin is a good choice. For me as a bigger guy for beachbreaks use the AMT's or Scarfinis...points Sea shepherds rule. For a lightweight on the points then use a K2 instead of the sea shepherds...less area to control and a flat inside foil for better control at speed. Aipa's. Retropete hit it - and thanks much by the way man - on the head for dudes our size. Aipa's Rule. Mad drive an kniffe slice carves with that stiff fiberglass. You can feel it. 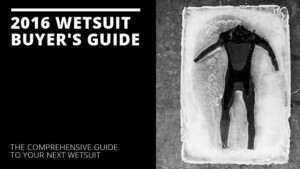 And this way you'll have both ends of the spectrum covered well and can move to whatever side suits you and your waves in the next pair. Quick RTT tip when waves get /better/longer period? Take a wave and let the board just Go. Give it just enough input to stay up and just cruise. It will high and low line by itself but most importantly you'll feel what the design is doing. Really eye opening. I did it and after that stopped Driving the board like I would when it was lower period/softer waves and started to lean into the wall and let the board and wave draw out the line. It holds at insanely high speeds and through smooth deep power arcs and carves. You're not going to do top to bottom surfing or maneuvers but you Will be in tune with the Energy of the wave directly through the RTT. Feeling this is what has led me on the search for a bit bigger fins than the Aipa's because I have no doubt that when surfed like this, the top end of the RTT is Massive, and when I get there I think a slightly wider base, yet still quite upright fin will be my go. You don't need a huge day to feel this just a long period swell. Eye opening and Spirit expanding. Big time. Oh, man! That post makes me wanna cry! I neeeeeeeeeeeed to surf! Wawawawawawa! I ran Aipas in my TT for a couple of years when I picked up a Simon jones channel bottom twinny I put them in that & they go really well there as well. I picked up some AMT"s to put in the TT & they feel good.......so if you are around 165lb either should be fine. As Pete mentioned it's pretty weight specific, I ran sea sheps in my TT & they worked but they were very tracky. Too much fin for me. Thanks on the input JaM...and been watching that Torren Martyn - Lost Tracks - video since it was coming out in segments. Radness abounds. Let's see this Simon Jones 4 channel Diamond tail brother! Rode my RTT today with the Stussy twins from True Ames. Didn't really like it. I prefer it with the Rasta keels. Has way more drive with the keels. I don't have a problem with the keels feeling tracks to me. Was a weird ride with the stussy twins. Board lacked spark and actually didn't turn as well as it did with the keels. Not what I expected at all. I'm on the larger size, about 185. I've got some aipas coming in the mail. Moving the fin cluster back makes a difference in how they feel. If you run them forward then you will need more fin area to get the similar feel. MR weighed in at like 185 and was running an upright 6"t x 5"b at 10.5" forward of the tail on a 5-10 board. That's a lot of fin area. Check out the fin template he was using. Little or no recurve in the trailing edge. I guess we can chalk that up to the Hawaiian influence. I'm sure GG has something to say about it - he's posted the board template often enough. Im kinda done discussing fin templates and positions . Fun reading all this . Going to make a special twin in Florida in 2 weeks . If I had to put my faith in a fin system to Hold and Carve at high speeds- these would be it. Are Akil Aipas twins on a RTT for the low-end or day-to-day of the spectrum? And the Rastas/K2 for better waves? I was recommended this online shop by a nice lady called Courtney at Futures. The guy, JD, at Shred Factor was super responsive, and he said he got some new Futures Control Series that aren't even on the Futures website yet. That RBT is almost identical to the Aipa's...but that RSC is looking a LOT like an MR and in Futures!! Watchlist for sure. Just flipped my McNeill over last night and noticed I pushed a finbox into the board. Insanely unstoked right now and getting it in for repair ASAP. Thanks for all the great info and help here. Goodfish! Stoked on your Aipa's man. First kid on the block with those shoes for sure. Hit up a pic when they come in. I got those new colorway aipas in the mail the other day. Nice looking. Probably small for me. Have the Greg Brady tiki on the inside green part. Will either ride as a funky quad setup with tiny trailers or will just sell em. I got caught up in the hype. I answered that question tho. For me, for a fish, Keels Are Real. Last edited by Colin; 10/05/16 02:59 PM. "noticed I pushed a finbox into the board." Tell us more about this , please . The Stamps Twin from RFC is a good fin. It's on the larger side and it can be ordered in fiberglass. Up and riding and took a good one in Way too shallow. Felt the "clunk" of a rock strike and jumped off. Flipped board over and saw the top of my fin was Severely scored. All i really looked at/noticed honestly. Surfed fine and forgot about it. Last night noticed the glass coming away from last 1/3 rear of fin box and saw that I had pushed it in Very slightly. Bummed. Completely my fault. Box doesn't move side to side or up and down at all while I manually flex fin, but is sitting noticeably a bit lower. Got my Akila Aipas. They look great, and have a very different template to the Sea Shepherds. I've never surfed a twin fin before, and I should be able to get in the water this weekend. How should I be judging which fins to use? Sea Shepherds for bigger, longer waves? Akila Aipas for beach breaks? Would appreciate any advice! You should be able to groove on the Aipas straight away being a lightweight. You'll more than likely prefer them to the sea shepherds in points too. For your weight the K2's would be better. Less area and flat sided. HE SAID I CAN SURF AGAIN! Yes! You're Stoked. Oh, and Aipas. I recently sold my Sea Shepherds because I'm having too much fun on the Aipas and feel this design benefits Wildly from a high aspect fin. Those medium/low rails are designed to be buried, not nursed. Run the Sheps and see what you think though, but I've run the Aipas in every condition and they just Rip. You have to lean in and let the water do its work a moment through that channel and into fins. Wide open arms and chest Lay into highline carves and stay juuuust an extra heartbeat. It won't draw out your turn but Will engage the other fin and tail and just bring you around like it's on Rails. Most unreal high speed control I've ever felt. Going forward when I need more fin I'm going to stay high aspect but with a wider base like some MR 78's or possibly those Electric semi-keels. Not sure on the 80/20 foil and at 6" those are some Damn big fins. Someone from here got those and am anxious for the review. I did run the Captain Fin co McCallum twins which are pretty similar to the K2's just, you guessed it, higher aspect, and they went well. Good luck and keep Healing Strong brother! That's great news! I was out for two months with a chronic shoulder injury and it sucked. Four months...wow - you must be a patient guy - no pun intended. My TT arrives in two weeks - psyched. Had ACL reconstruction, so had no choice but to wait. Really makes you appreciate how great you feel when you can surf. You'll be stoked on your RTT. Did you go with some funky artwork? grabbed a silly deal on a second hander - dims slightly large, but price was sensational. I'll post as soon as i have it. Art is crazy! So i've had a few sessions on my RTT trying out the AMT and Aipas. For reference i'm 150. I like the feeling of the aipas in the bigger stuff - they have more hold and better drive off the bottom, whereas the AMTs release better at the lip, allowing for more snappy surfing. Keen to try either the electric keels, or their version of the MR fins - or possibly the K2. Kpd73 is spot on - this board has a great range! From knee high junk to well overhead. Highly recommended and such a positive experience compared to the state of the art lost puddle jumper poc i spent winter on. Man, so at 150 you are finding the Aipas too stiff? What fins for someone even lighter than 150? No! not stiff - both the aipas and amt's are fine, but the board becomes quite different with each fin change - so i was keen to try some different fins, either semi-keels or the pacey twins for the really big stuff. Cool, thanks Bman. I have the Aipas and the K2, will track down AMT's eventually. There seems like a few options out now. The ones you posted from Shapers (sold out) and I'm liking the Stussy model from True Ames. New board, no time. Yeah - board is really sensitive to fin changes - looking forward to some semi-keels for some nice big open faces. Put AMT twins with the really small trailer center fin into a 6'2 Simon Spudster. Worked well and was surprised at how loose it still was considering how large they are. Could not get much drive around sections though. Put in a center fin from a Yu medium set I have. Seemed to work pretty well in shoulder high surf. Point being... don't be scared of their size, they still allowed the board to be plenty loose. Last edited by glowplug; 11/29/16 11:03 PM. The AMT's are the biz because of that pivot. I just cut down a set of MRtx FCSII in the same foil. I've had a great time with the full AMT set in my Nano. I never thought they'd work with that tail. I chucked them in one afternoon when morning HH chunky beachies turned into thigh/waist high burgers as the tide filled in and I was caught without a groveller. They work in good waves too. Had a blast in HH Snapper/Greenmount tunnels, super fast and turn tight in the pocket (I usually opt for Jordy Larges in those waves though). 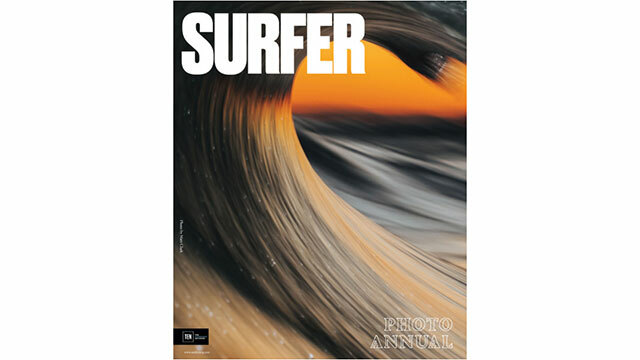 Goodfish, It is always a pleasure to do our best at http://www.shredfactor.com. Thank you always, be safe in the water and please feel free to email us anytime. What I've been using in a few fishy boards is AM2's with an AMT trailer. 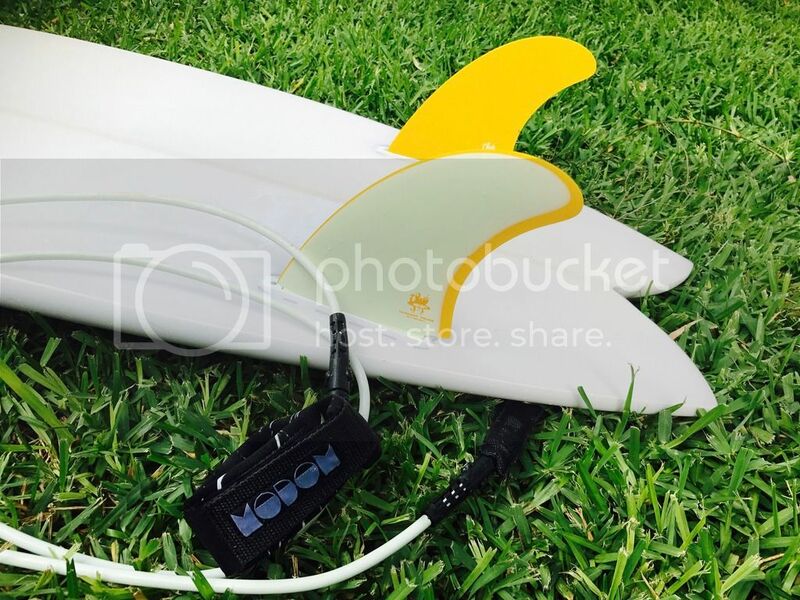 Here's an option for those that want a bit more fin but don't want to go to a keel fin. I bought a twinny while on the Gold Coast recently. The shaper recommends running the K2 or Rasta Keels but I only had AMT's with me so I ran with those. Even though it was obvious they just weren't enough fin I did like the pivot the upright template provided. Now I could be wrong but I found there wasn't really an option in the futures range for a twin with a bit more area unless I went to a keel fin (don't seem to have the Future en twins in Aus?) A bit of googling and a couple emails and I found these Salty Merchants upright twins. Apparently similar to the bigger MR78 twins with a few tweaks. Last edited by Toobz; 05/02/17 05:32 AM. How do they go Toobz? They go great. No drifting/sliding when pushing on bottom turns like the AMT's. A heap more flex though so they suit smaller conditions. I was originally going for the Electric semi keel but after giving Lachy some board specs he suggested these for daily duties up to 4ft and the Electric semi keel for overhead conditions. Grabbed the board on my last walk around on the weekend in 3-5ft (6-10ft faces) for shits and giggles and they went surprisingly well but I'll typically be reaching for another board in those conditions. good stuff - what board? 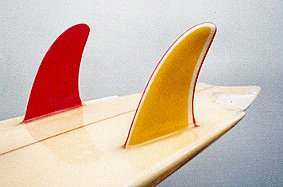 I'm riding some AMT's in something at the moment and have been looking at Salty's fins - he has some nice ones. Found a Misfit Beach Cloud twinny in a sales rack and couldn't pass it up for the price. Had felt one up late last year at Kirra surf and really liked it. Yeah Salty's have a few different twins now and they all look good for their intended purpose. I should also mention, nice product too with a really clean finish. 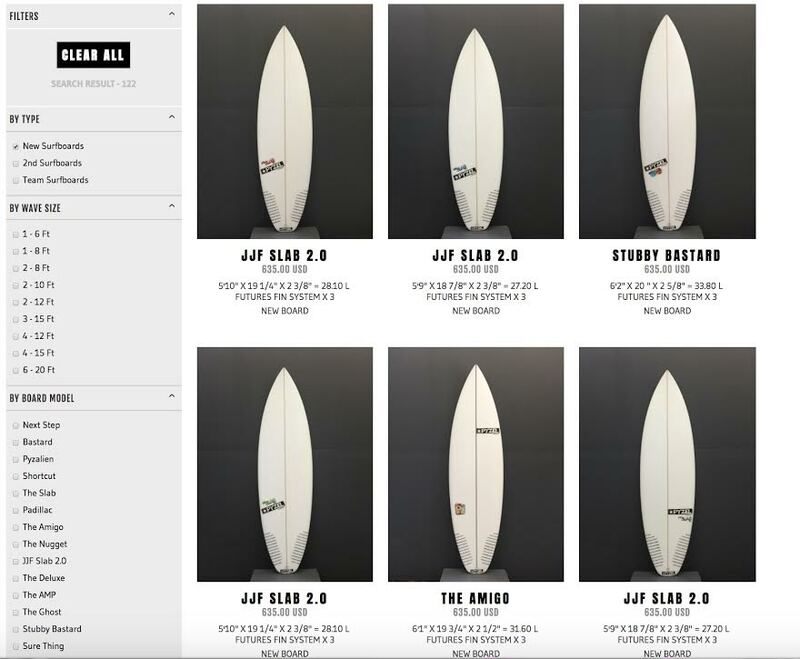 Looks like McNeill has some Twin Fins and Keels coming from True Ames in the near future. Cant find any information about their size though. Anyone have any information other than what's in Gary's Insta? FWIW True Ames McNeill Twin fins are 5.45" Height, 5.16" Base , and an area of 22.19".